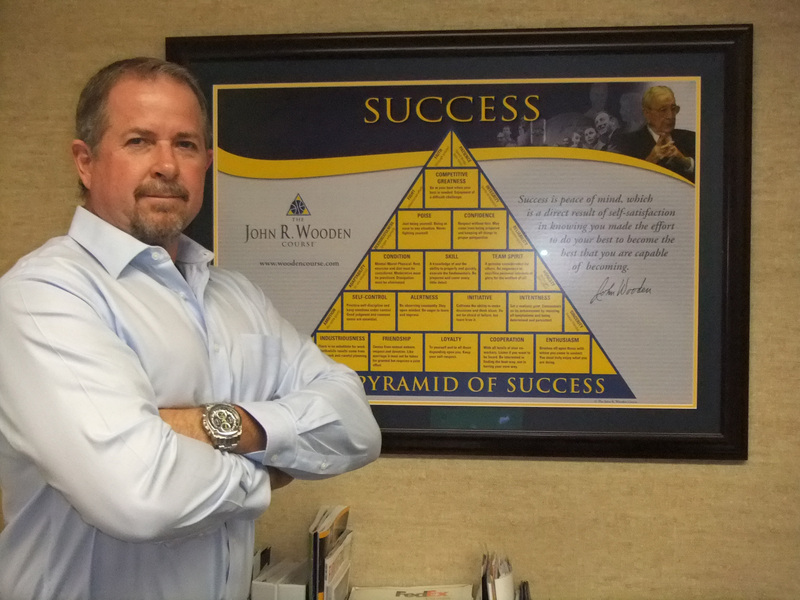 I want to update you on the lean journey at Hunter Trim and Cabinet in Fort Worth, Texas. Although the CEO, Dustin Hunter, and I have communicated by email and phone, several months passed between the conclusion of the initial phase of their lean journey in April and my recent visit. I was anxious to see how the HTC team sustained the initiative through personnel changes, the move to a new facility, acquisition of some new technology, and a 60 percent increase in business. Any one of those challenges could cause the focus on continuous improvement to get misdirected, but managing all of them simultaneously can be overwhelming. I am pleased to report that the team managed to keep all of the balls in the air and maintain 100 percent on-time delivery at the same time. HTC moved to a new facility in June. The planning process for the new building started long before Dusting decided to embark on the lean journey at the end of 2012. One of the motivations for moving to a new facility was Dustin’s perception that he needed more space for future growth. After a couple of months of lean thinking, he determined that the new facility was probably twice the size he needed, so he decided to lease out a portion of the building until demand necessitated additional space. He experienced a 60 percent increase in business over the first three quarters of 2013 and hasn’t found a need for the additional space yet. HTC has relied on a little overtime to meet the increasing demand, but Dustin reported that his payroll costs are only slightly higher than they were before lean. How has he managed to achieve those results? Dustin has focused on sustaining the lean initiative rather than maintaining it. Sustaining versus maintaining might seem like a minor point, but it is a major consideration when you embark on a lean initiative. If Dustin had been satisfied with maintaining the level of success that was achieved following my initial work at HTC, he would have sent the message to his staff that they have arrived at the objective and the new norm will be status quo. Simply maintaining a certain level of success will not ensure that lean thinking continues to be part of the organizations culture. If you want to sustain the lean initiative you need to continually challenge leaders and staff to identify and exploit opportunities for improvement. That is what Dustin continues to do. 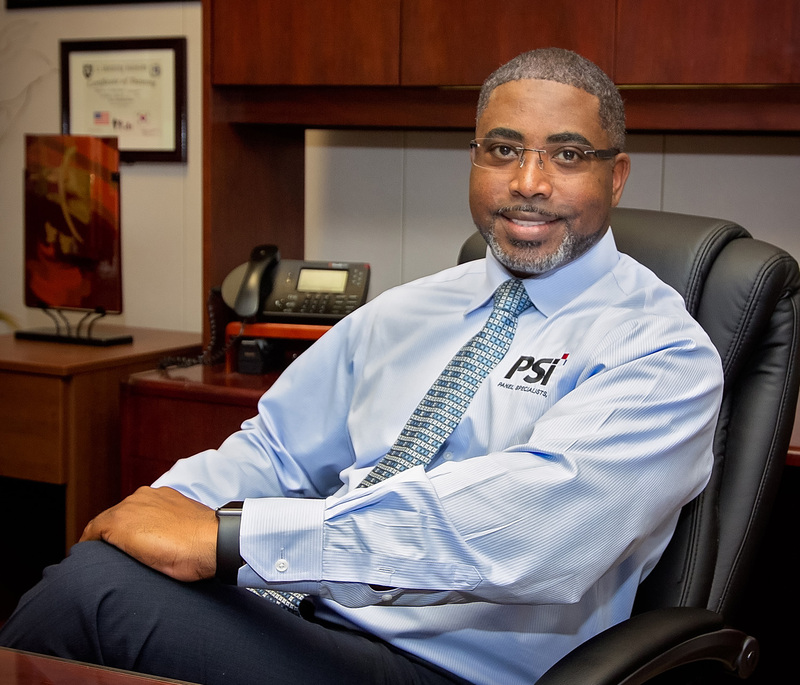 To keep people engaged in continuous improvement at HTC he has allocated 5 percent of the work week to implementing changes that have been identified and qualified through the week. The last hour of the day on Tuesday and Thursday is devoted to updating lean tools and techniques such as Workplace Organization and Standard Work, improving internal customer/supplier connections, or lean training for new staff. To enhance sustainment I suggested he incorporate another technique for himself and his Lean Coordinator. That being a deliberate Gemba walk for one hour early on both of those days to observe and absorb customer/supplier connections, flow, process interruptions, and to align perception with reality. If you are unfamiliar with the term “Gemba” or how to conduct your own Gemba walk, check the CabinetMaker+FDM article archives. Sustaining Lean at HTC is occurring in a number of different ways. Continually updating Standard Work and Workplace Organization are two methods of sustainment, and the introduction of new technology is another. Dustin recently installed a CR Onsrud Mate Series CNC machine for cabinet and drawer parts. The new technology has enhanced part quality and subsequently improved throughput in assembly. The CNC process has added a wrinkle though that Dustin and his staff are working to iron out. 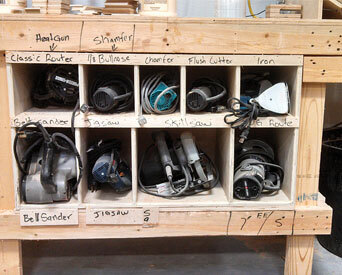 To attain the best possible material yield, cabinets are randomly nested, which means that all of the parts for a single cabinet are not being cut at the same time. That has caused the batch size to increase from six cabinets to about twenty. The internal supply chain is wrestling with balancing their processes to match that batch size so the assembly department has everything necessary to complete a cabinet on the first pass through. On a positive note, dados for side and back panels that are machined at the CNC have taken the guesswork out of assembly and reduced the learning curve time for new cabinet builders. In fact, I found two new cabinet builders on this visit. I wish I could embed a video of the assembly process in this article so you could see how smoothly and efficiently one of the new builders, who has only been there about 6 weeks, interacts with the things around him. Thanks to an emphasis on Workplace Organization new employees can quickly adapt to their surroundings. The builders do an excellent job of ensuring that everything has a place and that it is always in that place. As you can see by the picture of the shared tool locations there is still some sustainment work to do and I have no doubt old markings on the bench will soon be removed to eliminate confusion. Another area of sustainment is the new layout for the door and drawer front fabrication process. The new facility provided an opportunity to spread out a bit while better connecting the processes to create flow. Another sander was added so parts can continue to flow rather than cycling back through a single sander with all of the ensuing adjustments. One of the benefits of sustaining the lean initiative is having employees recognize that there is always room for improvement. The team leader of the door build process told me he has identified a number of areas where they can make improvements to increase capacity, which is an important consideration given Dustin’s goal of doubling sales. I am confident that Dustin will achieve his goal because he is creating a culture of sustainment rather than allowing himself or his staff to maintain a level of accomplishment. Are you focusing on maintaining or are you continuing to sustain the lean transformation process? If you need help launching a lean initiative or sustaining the current one feel free to contact me by email.